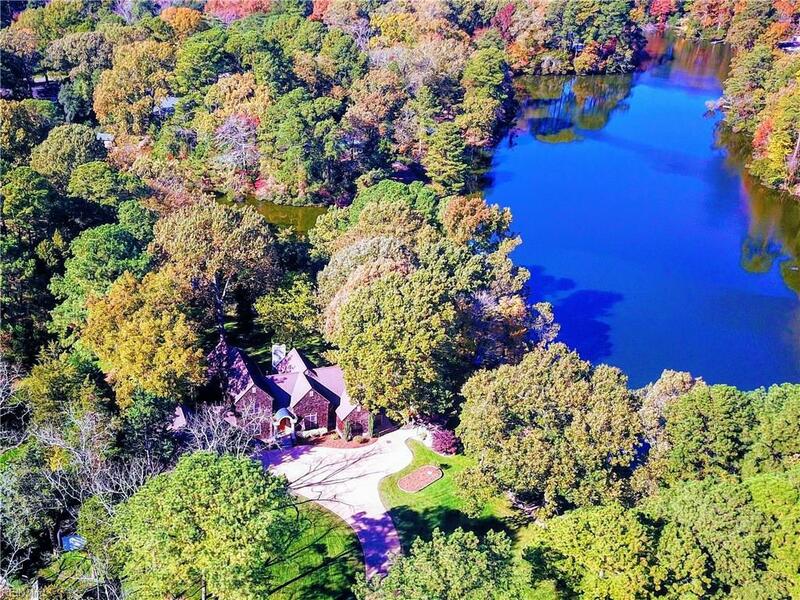 1608 Moores Ln, Virginia Beach, VA 23455 (#10216493) :: Abbitt Realty Co.
2+ acres of secluded waterfront, stunning five bedroom estate has its own outdoor pizza oven. Property balances period charm with modern luxury. 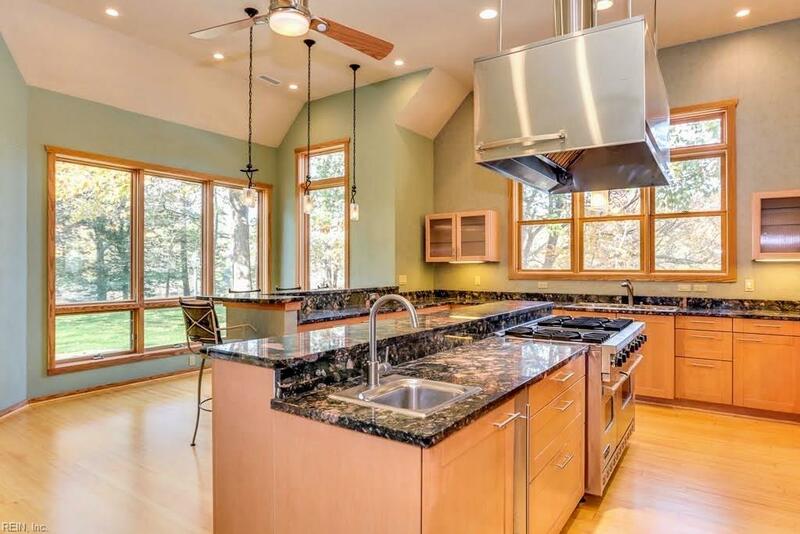 The true chef's kitchen has commercial grade appliances including Viking gas range and oven, separate SubZero refrigerator and full size freezer, granite counters, butler's pantry, prep sink and more. Next to the kitchen is formal dining room. With rich bamboo floors and soaring cathedral ceilings, the first floor has its own library with ladder to reach shelves plus en suite bedroom and huge master wing. The master wing offers his-and-hers closets, separate shower, jetted tub with ceiling water fall. 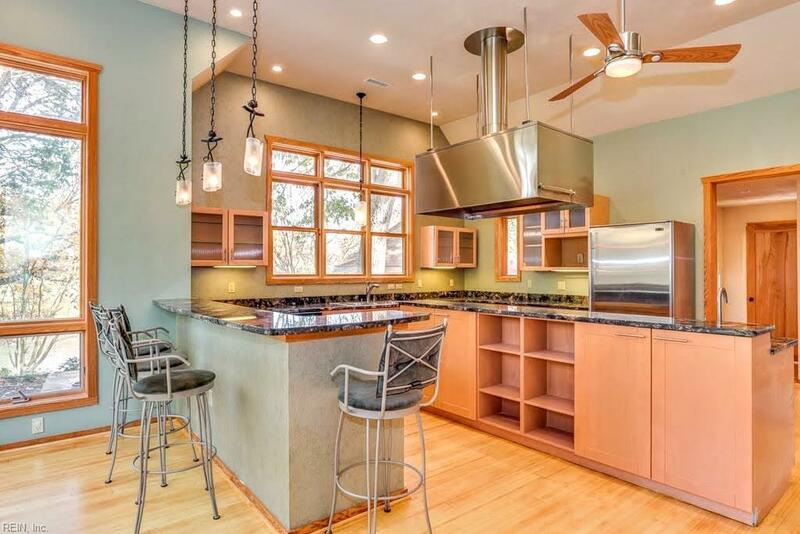 Interior features massive floor to ceiling windows with serene wooded views of Lake Charles. Two car garage has workshop space and storage; an elaborate FROG with full bath has space for media center, gym, or deluxe office. This impressive property is an extraordinary offering.